There's really nothing better than a day at Keeneland's Fall Meet. Lexington is at its prettiest this time of year, you're likely to run into plenty of friends at the track, and there are great races to watch. The only way it can get better is if you have the opportunity to help others. 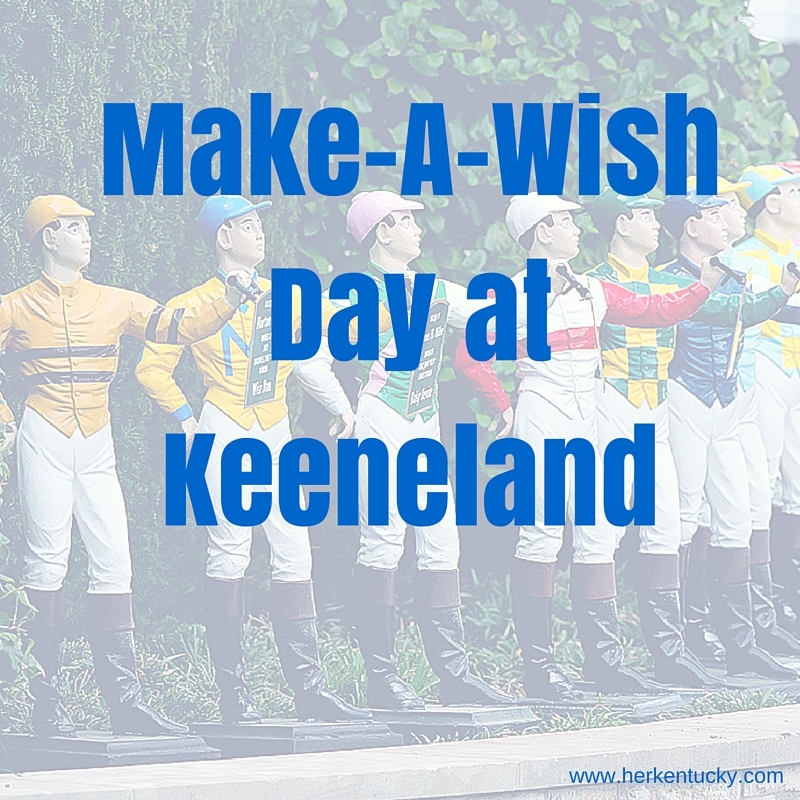 Tomorrow, you have the chance to do that at Make-A-Wish Day at Keeneland! The thoroughbred industry and Keeneland are working together to help grant the wishes of local Kentucky kids through Make-A-Wish® Day at Keeneland!Local Thoroughbred farms and organizations (Rood & Riddle Equine Hospital, Ashford Stud, Darley, Shadwell Farm, Lane's End Farm, Flaxman Holdings, Hagyard Equine Medical Institute, Shawnee Farm and Gainsway Farm) will help grant wishes for nine deserving children. The Keeneland Kidseven get the opportunity to present the trophies after each race! You can support Make-A-Wish and enjoy a day at the races by purchasing a Wishing at the Races Ticket Package for $25, which includes a general admission ticket, reserved seating in the Grandstand, a Keeneland program and a limited edition t-shirt designed by a wish kid! 65% of ticket sales benefit Make-A-Wish. To purchase tickets, please call 1-877-206-9474 or visit HTTP://MAKEAWISHKY.KINTERA.ORG/KEENELAND. If you can't make it to the track tomorrow, follow along on HerKentucky's Instagram for photos from the event!